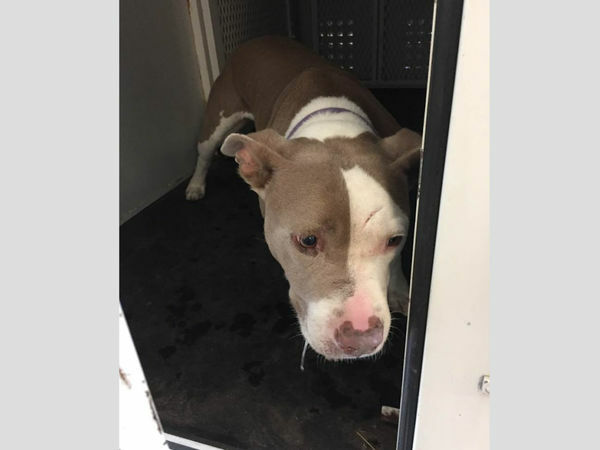 Dogs Bite Decatur Al: HEMET, RIVERSIDE COUNTY CA - A PIT BULL MIX RAN UP TO A 3-YEAR-OLD BOY AND LATCHED ON TO HIS FACE...THE WHOLE LEFT SIDE INCLUDING HIS EYE! HEMET, RIVERSIDE COUNTY CA - A PIT BULL MIX RAN UP TO A 3-YEAR-OLD BOY AND LATCHED ON TO HIS FACE...THE WHOLE LEFT SIDE INCLUDING HIS EYE! Riverside County animal control officers were searching Tuesday for a dog that bit a child just east of Hemet. The attack happened about 5 p.m. Monday in the area of Columbia Street and Johnston Avenue, according to Department of Animal Services spokesman John Welsh. A 3-year-old boy named Jaxson Warino suffered a serious injury to the face. "The whole left side of my son's face was cut open his left side of his eye was hurt," the boy's mother, Chrishtiauna Hernandez said. It was unclear whether the dog was a family pet, a stray or belonged to a neighbor. Welsh said witnesses described the canine as a white PIT BULL MIX. Animal control officers had received reports on the possible whereabouts of the dog, but were still looking as of late afternoon Tuesday, according to Welsh. Hernandez is pleading for help in finding the dog because her son now has to endure rabies shots as a precaution. "No 3-year-old, no one should go through what my son is going through now," she said. Anyone with information was asked to contact the department at (951) 358-7387. Another pit bull "mix" that acts and looks exactly like a purebred red nose pit bull. I loved reading the update: pit bull "mix" found, it's unlicensed, unvaccinated for rabies but will be returned to its owner after the required rabies quarantine period is up. According to the mom's account on the news video, the dog ran up and severely bit a three year old boy who was simply out for a walk with his dad. Leaving aside the idiocy of putting a vicious animal back into the community, the woman who owns this dog should be facing child and animal abuse charges as well as having her wages garnished for the family's medical expenses. To let your dog go without the most important vaccination you can give it is medical neglect of the animal. It didn't take me thirty seconds on Google to find stories of rabies-infected bats in their county. To let the dog run loose is just plain neglect. The resulting attack on a child should result in criminal charges, the dog being euthanized, & a ban on future dog ownership.